Not gonna lie, it's a little creepy. 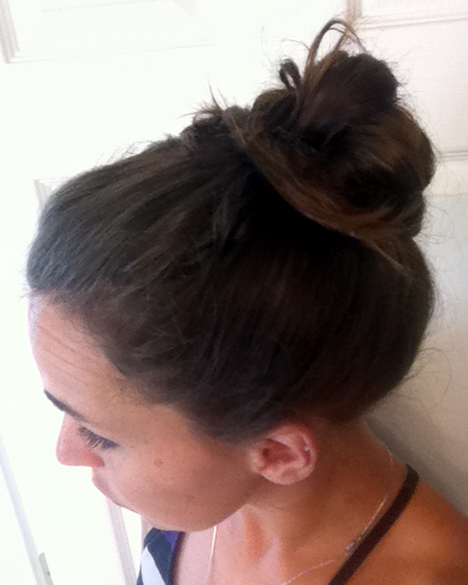 But this is the result of my 30 Days : 30 Dos experiment...which I loved! 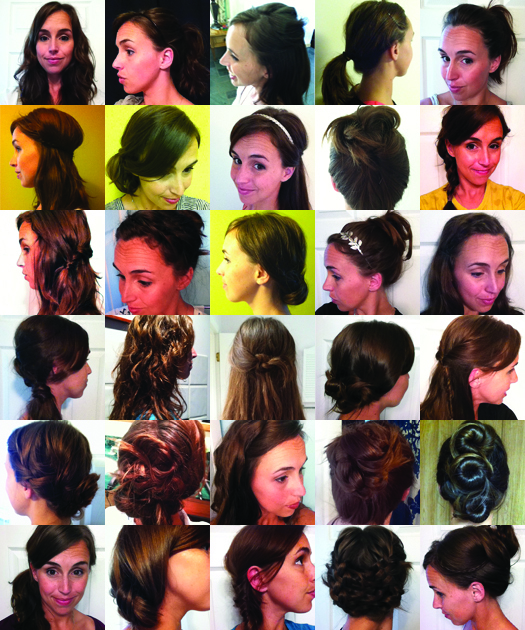 I feel more confident in working with my hair, and I have a repertoire of styles under my belt for multiple occasions. Do you have any favorites? Any "lisa-don't-do-that-again"s? 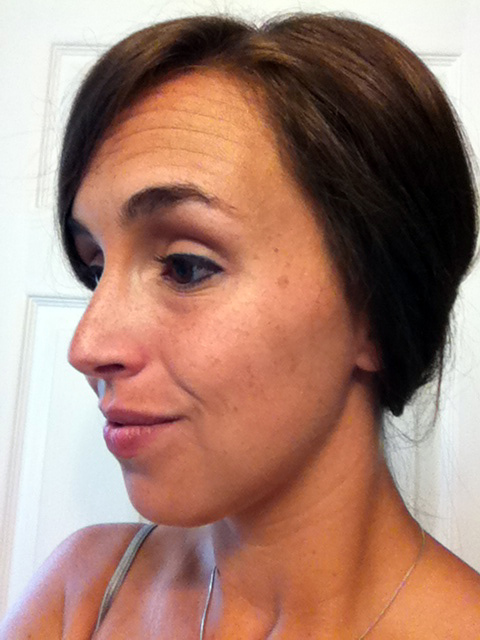 You can find links to the individual hair styles here. 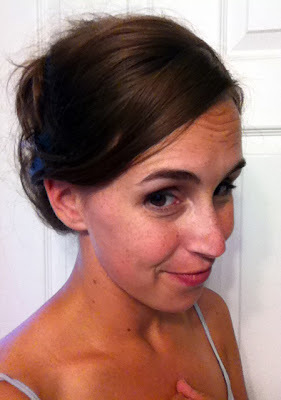 Here are some links to ladies who have either tried one of the dos, or who are doing a hair experiment of their own! Check them out! 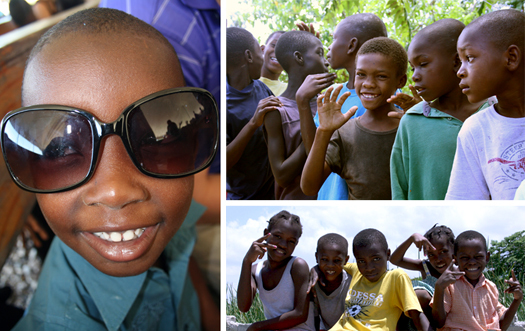 Task : Pick one single word to describe our Haiti trip. Answer : Orphans. 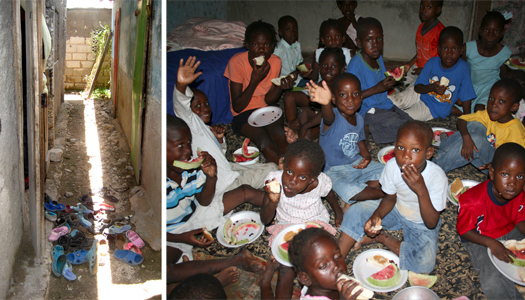 In one square mile around the guest house where we stayed, there are 150 orphans living. I don't know if that is typical for a square mile in Haiti, but it implies a massive orphan population. 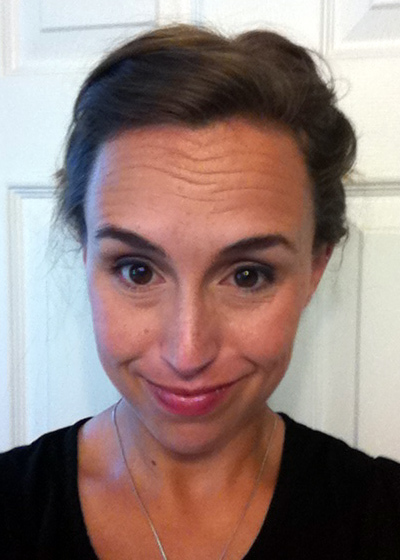 I wish you could feel their sweaty, cushy cheeks as they lean in for kisses. 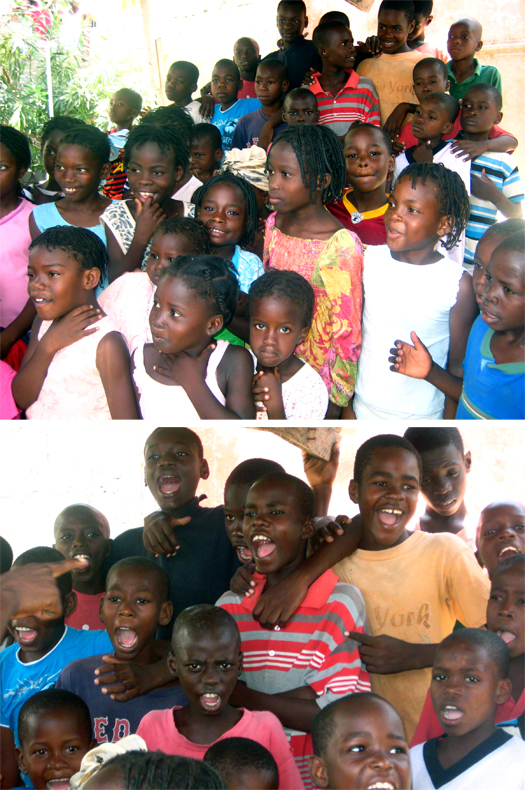 I wish you could hear 30 small orphans singing a Kreyol welcome song, shouting Good Morning in broken English, and rushing to you in a wave for no other reason then to hold your hand, receive a hug, to play. 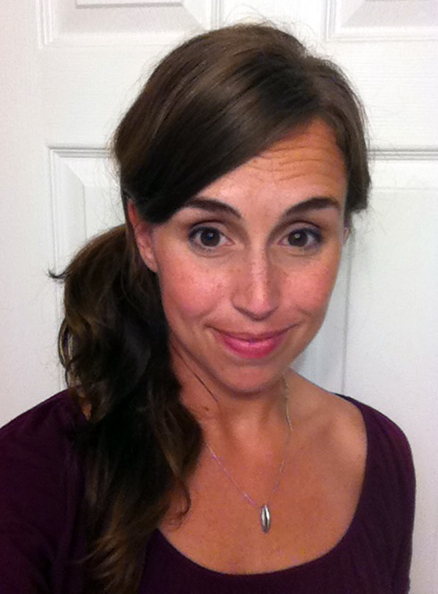 I wish you could see them beaming and laughing in the 105 degree heat, in a concrete room, in unwashed clothing. Oh they are so precious. Little souls with no family to protect them or hug them. Many of them struggled to survive alone in the street before being found by a willing Momi(House Mother) or Pastor. 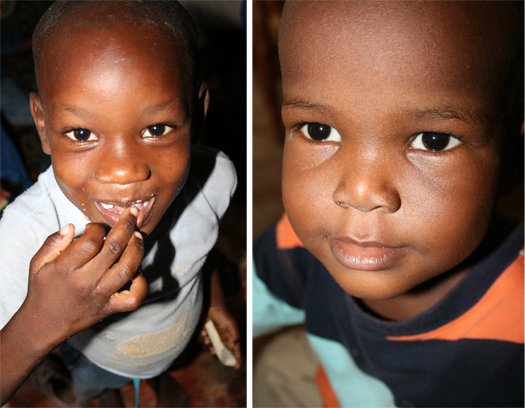 We had the privilege of meeting 30 orphans in Gonaives, Haiti between the ages of 4 and 12. They are scraping by. They maybe eat one meal a day, sleep on the roof of a concrete house with no railing, and can't go to school, but they still take their shoes off before going inside. They still sling their arms around each other while listening to a Bible story. They still wait in line for food and listen to their Papi. I'm writing a newsletter report of our trip that will tell the whole story of the discovery of these struggling orphans among other parts of our trip. If you want to receive it, shoot me an email at makinghomehomemade@gmail.com. We're going to try to do something for them. It is so so so tangible and attainable. Stay tuned for more. Of course, no pressure at all, but if you think you might want to help, please let me know...it's going to be all kinds of fun and meaningful! You can see some scenery pics of Haiti here! All right people. 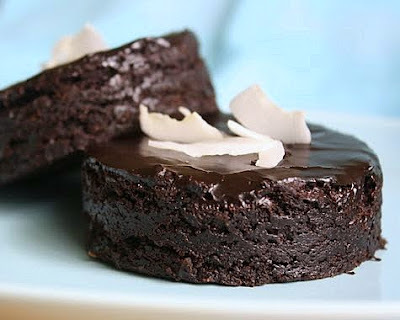 Voting begins for the most delightful brownie recipe. We will be making whichever recipe gets the most votes at an upcoming social event...so choose wisely! WE ARE BACK. And now we can tell you the most fundamental reason we took last week off. We went back to Haiti! Beautiful, lovely, distraught Haiti. I'm once again in an internal battle on our return...what can I possibly leave out?! how can I begin to describe it? how do I write it all? Before I get too overwhelmed, I'm just going to start. This post is about the beauty of Haiti. There will be others following that have more about our activities! 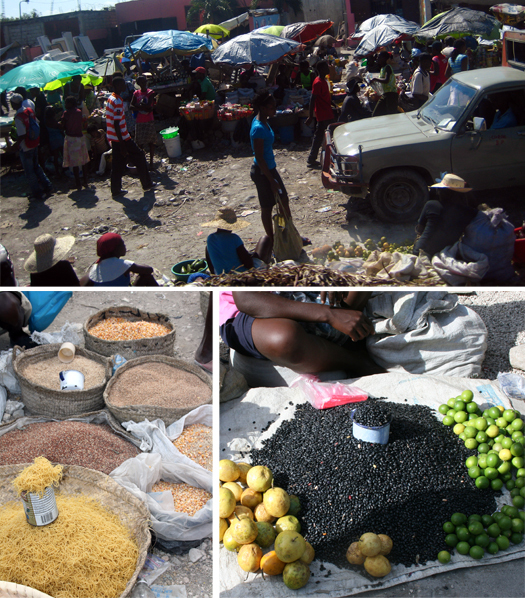 Haiti is the poorest country in our hemisphere. The streets reek with trash fires and smog; the stores are ten foot portable shacks; the national highway is pocketed with car-sized potholes. The rivers look like giant cappuccino spills in which people bathe, defecate, and wash clothes. Children lug jugs of water from the village well to their homes made of broken cement and relief-effort tarps. Even the well-off in Haiti don't have air conditioning or washing machines. Oh and it's 100 degrees every day. And yet it is so beautiful! 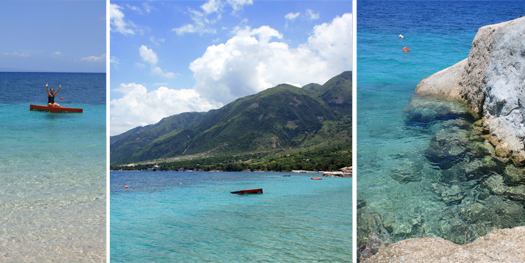 The clear water beaches are just one beautiful part of the Haitian terrain. 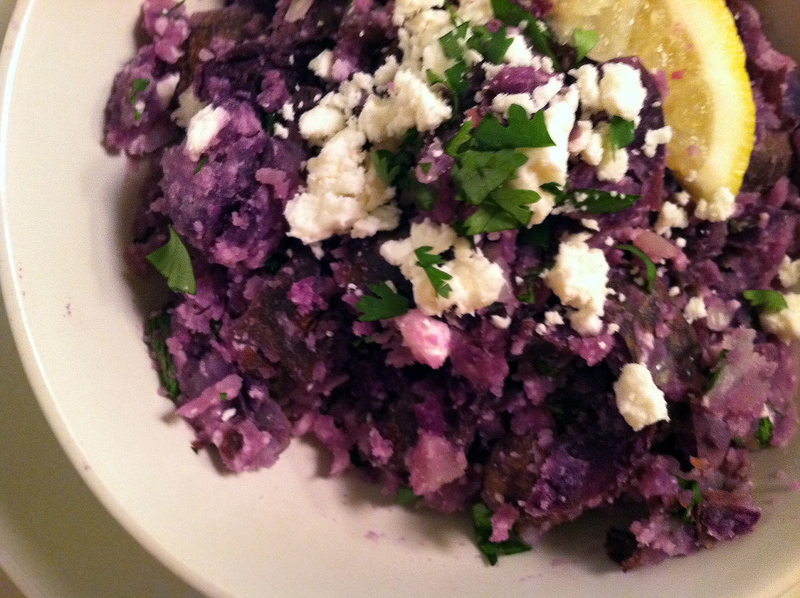 There are rice patties and mountains and rivers...all lined with mango and avacado trees. The favorite Haitian meal is chicken with beans-and-rice, all doused with some sort of tomato sauce. 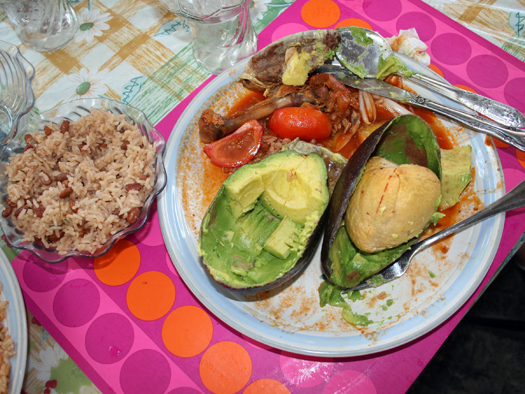 These are the remains of one of my meals, supplemented by a huge, fresh avocado bought at the street market by our friend and guide Papitass. If you've been reading long, you know how I feel about avocados, and this one was everything good and more. A typical Haitian market is crowded booths with shades strung up too low for most Americans to walk under. Meat is slaughtered there every morning; fish are brought in from the ocean side, and hundreds of vendors sit in the heat, awaiting a sale. Maybe I was the only one to find beauty in this, but it was so saturated with culture! And Haitians love to dance! 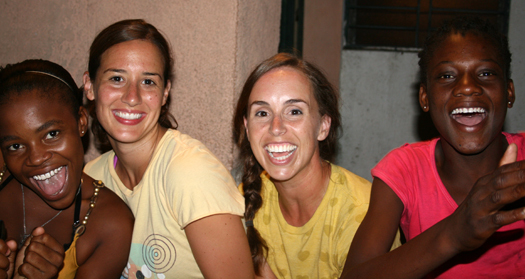 A ton of my time was spent with these two ladies trying to teach us to move like Haitians. We learned the song above from them too. So. Haiti = Lovely. For so many reasons. There's a lot more to come...consider this a preview. You can check out my favorite photos from last year here. 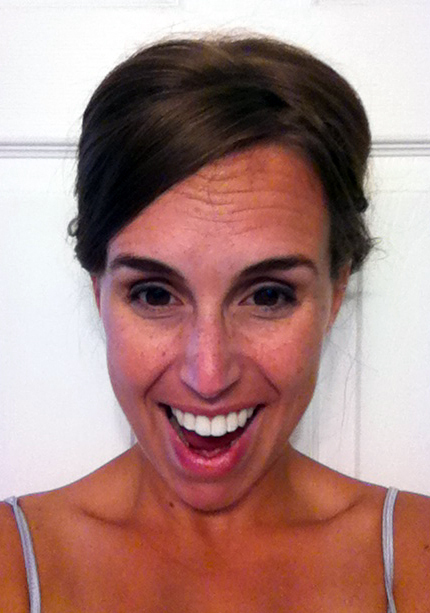 Just a heads up that next week we are taking a blog break...a blog-cation. As with everything in life, it is important to step back from time to time so that you can jump in again, rigorously and refreshed. We have some other reasons too that we will share with you when the week is done! But as a teaser, we have some new stuff that is really exciting (/colorful). 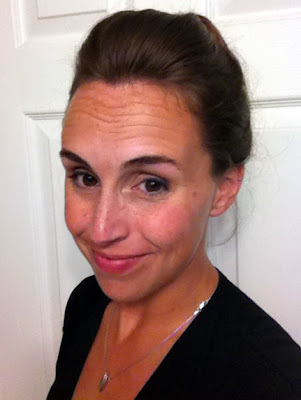 Some guest posts are also in the works that you will totally love! That's how we roll/pose. Also, we will never ever take a family portrait in our bathing suits again. I literally teased my whole head, right down to neck. I made a messy bun out of the middle third chunk of my hair horizontally (yes really). 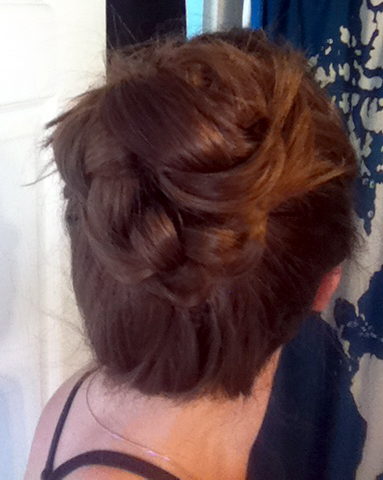 Then I pined back the top in sections, but held back a few small chunks for braids. 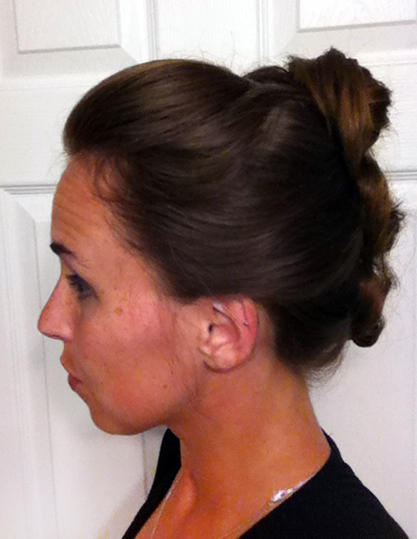 The bottom section I wound upward and pinned underneath the pony tail. 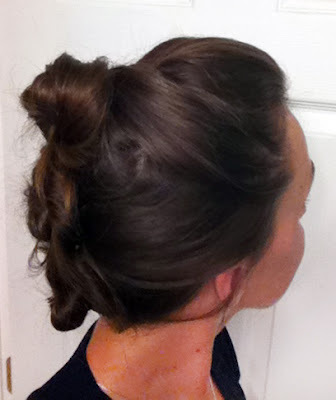 The great thing about this do...it can be messy and still work! Hmmm. After all of this, I would say : Try to ENJOY taking care of yourself. Your body, mind, and spirit are all bound up and can sometimes affect each other. I keep trying to pull the multiple braid thing off. 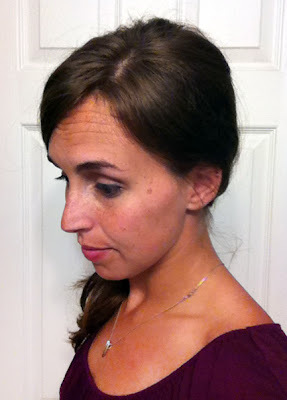 Maybe oval-shaped heads aren't supposed to wear lots of braids. I will say this is the closest I have come. It is a little bit more modern looking than my first tries. Does it look like exterior brains to anyone else? 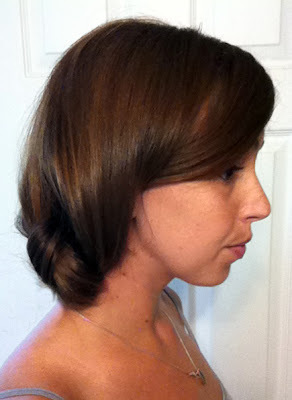 For this do, I horizontally sectioned my hair into two; a top half and a bottom half. I ignored the bottom half while I equally divided the top half vertically. 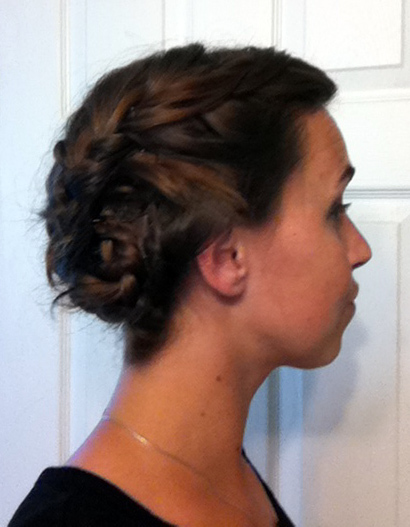 I loosely french braided each half from my forehead back to the middle, where I continued the braid off of my head. 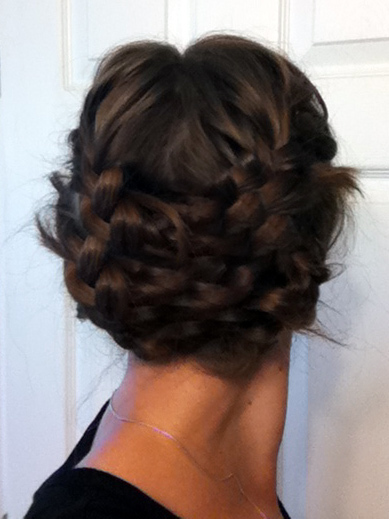 Then I repeated with the bottom section for a total of 4 braids, all leaving my head and falling together in the very back. 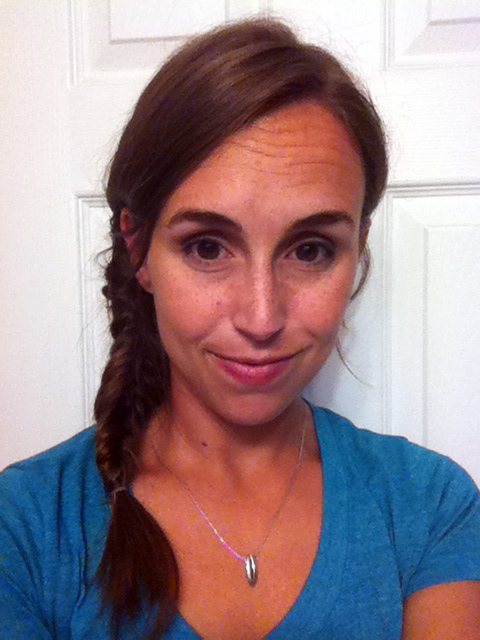 (At this point Husband saw me, and I could see the doubt about this do in his eyes:) So after the braids were done, I took the left side braids and brought them around to the right side, tucked them into the other side's braid, and pinned them, hiding the ends. Same with the left side braids but to the right. 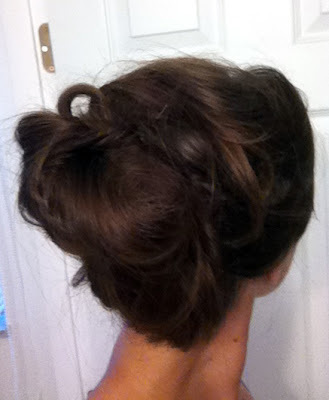 I had to reteach myself how to do it. I used these picture instructions. Time investment : 8 min. 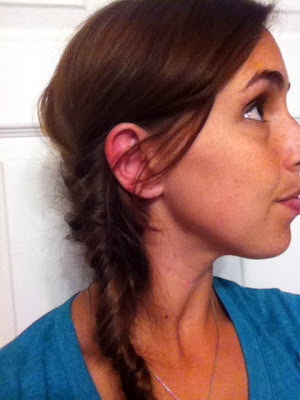 (Fishtails take a little longer that regular braids). 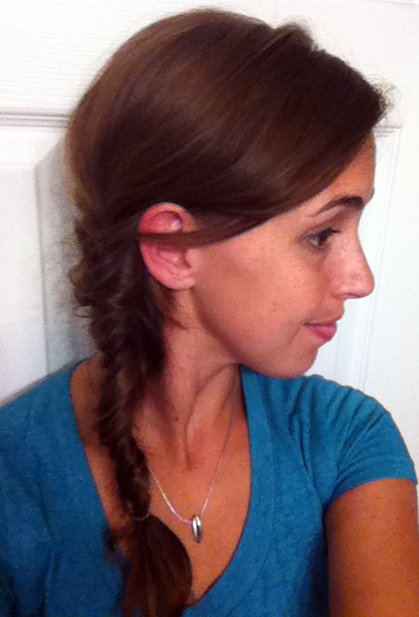 You can see my other fishtail braid style here. So the thing with experimenting is that sometimes it works, sometimes it doesn't. 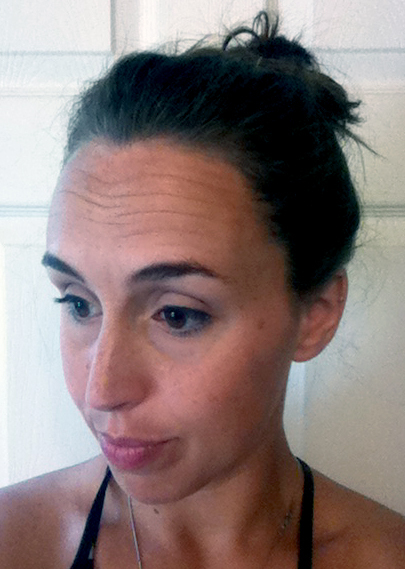 Today the thing I was attempting did not work, but during the experiment, I discovered this look. Day 27 is a lot softer and more flowing than my usual preference, but I ended up liking it. AND IT'S EASY. So I suppose it is my style after all. To make this do : pull your hair to your favorite side of your head (everyone has one right?) and separate into two chunks. Tie a double knot with those two chunks. Pin any hair sticking out of the knots back into the flow of your hair. Calling all crazy hairstyles! I need something big for my final do coming soon. Send me links or pinterest me. 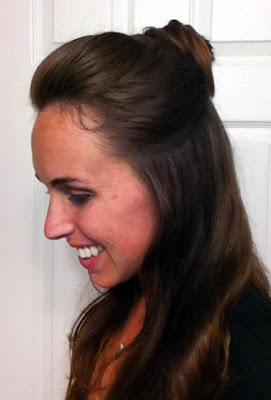 Here is a simple 60s side-pony hairstyle that I've always liked. I still have trouble getting my hair to pouf correctly, but I'll keep trying. Wholly smokes! Another milestone...25 days down! 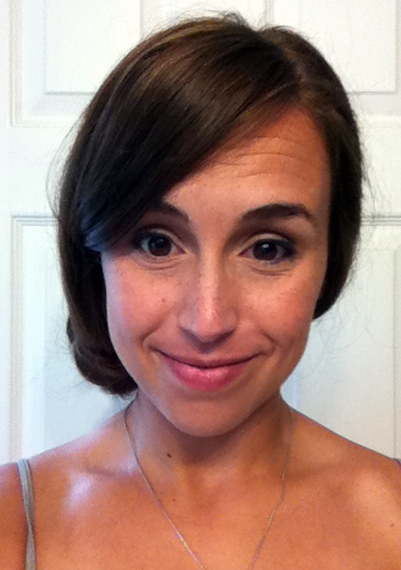 To celebrate, this do is a two-for-one deal. 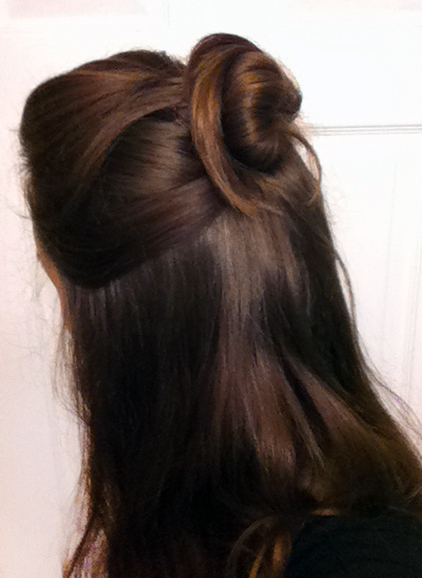 While I was taking out this do, I discovered that the half-version works as well. 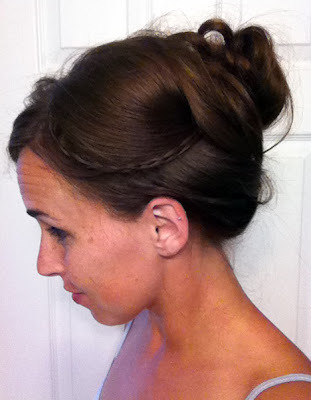 After significant teasing, pin the top chunk into a pouf. Take another section of hair from both sides and twist them together at the back crown of the head. 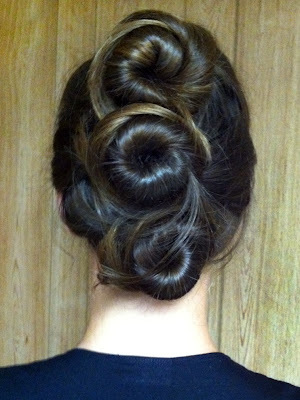 Spin it into a bun and pin it. Repeat downward until you run out of hair! 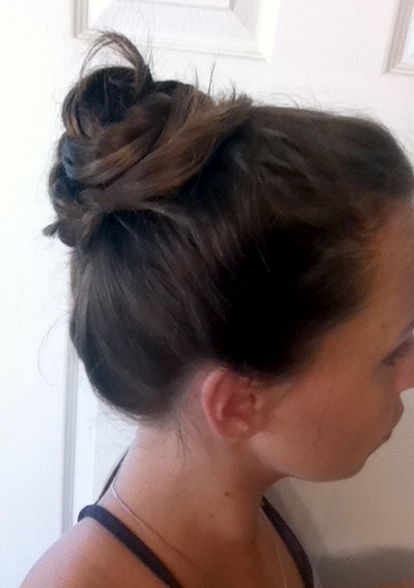 I made three buns, but you could do any number...4, 6, maybe 8 if you worked hard. Time investment : 6 min. 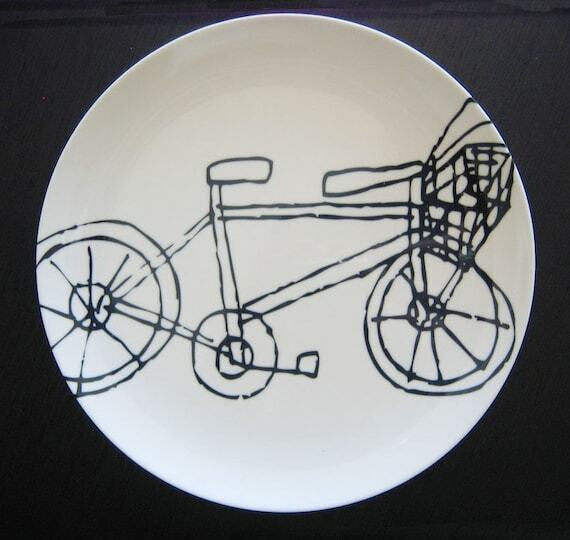 What do you think of when I say "melamine"? I think of inexpensive, candy-colored utility ware. You know, worthy of picnics and children, but hardly the serveware of stylish parties and mature gatherings. 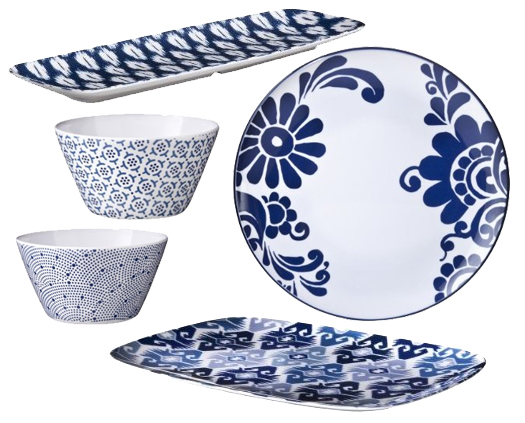 As it turns out, there are many amazingly styled melamine options out there. Mimosa Melamine Plates from Z Gallerie - on sale right now! Did you know that melamine is a thermal-setting chemical compound that has fire-retardant properties? 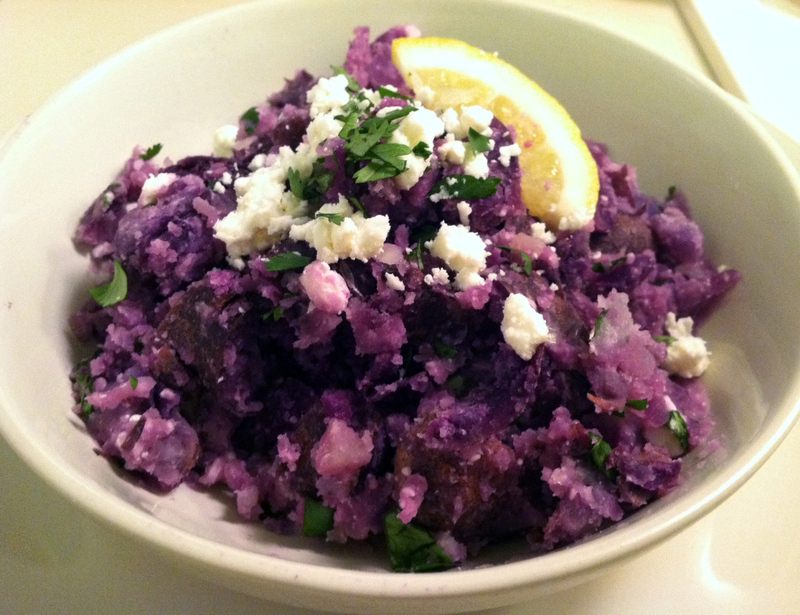 Beyond dishes, it is used in Formica, dry-erase boards, glues, and fabrics. 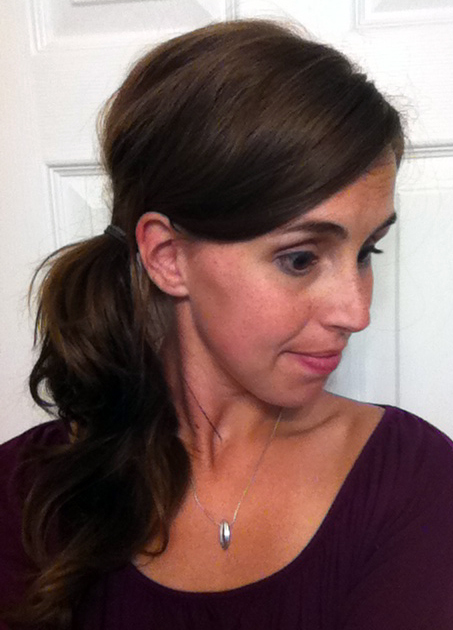 This do was started with a high high ponytail. 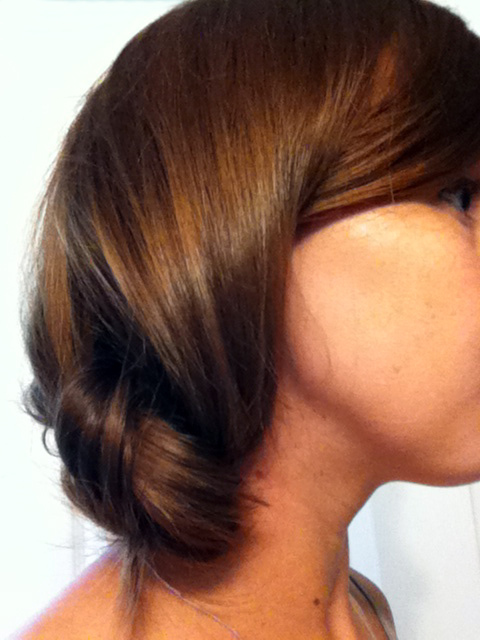 I split it the pony into two chunks and braided each. 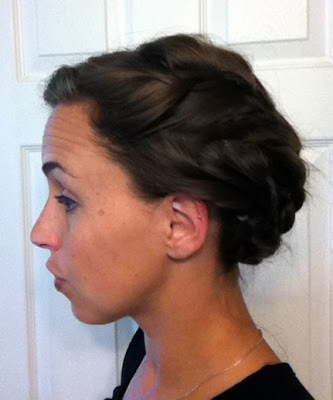 Then I wrapped the braids around each other and pinned them in place. Simple! I was insecure about this one because the high, tight bun isn't my norm. But someone told me I look like Tinkerbell...that's a good thing right? Time investment : 5 min. Back to the market! My last fun find at the Findlay Market was this parrot tulip, but now it's on to something edible... purple fingerling potatoes! They were nestled right in there with all the other potatoes that normally line the market shelves. I think they are so beautiful! 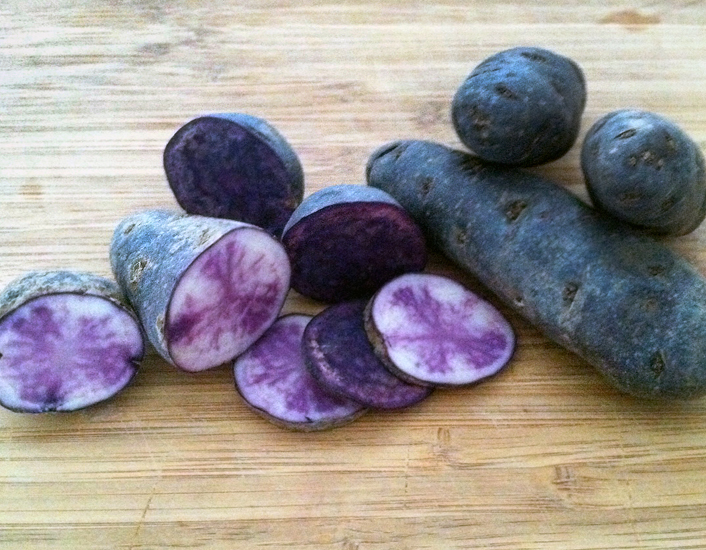 Did you know that purple is a naturally occurring color in lots of tubers? 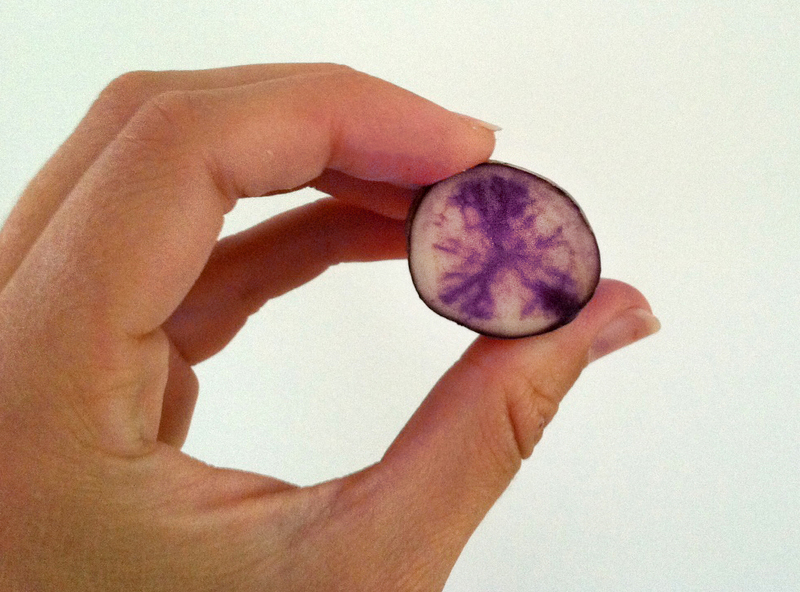 Carrots were naturally white or purple before they were bred into the orange tubers we eat today. 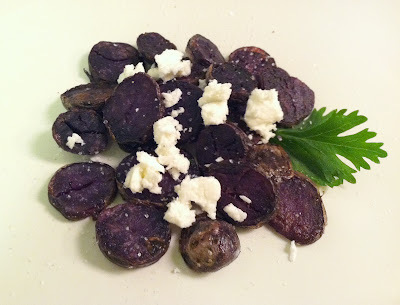 Does anyone have any favorite recipes for purple fingerling potatoes?